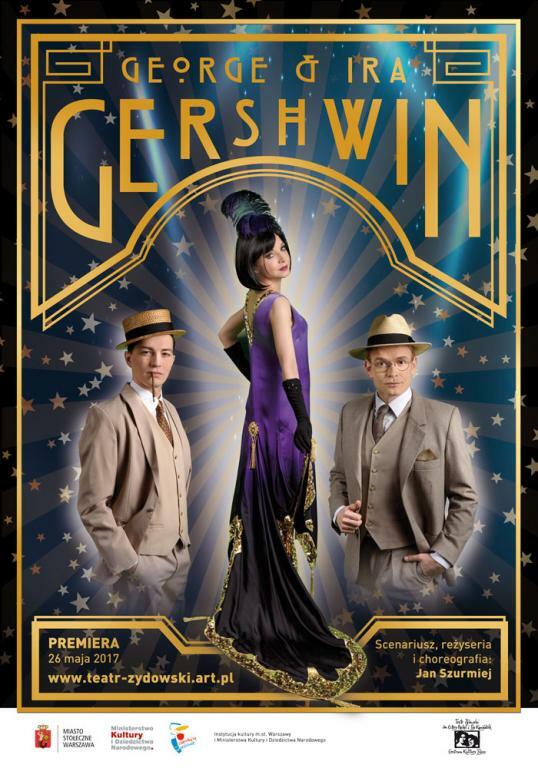 Directed by Jan Szurmiej, “George & Ira Gersvhin” is not just a musical monograph composed of the works written and composed by the marvelous duo, in which the younger brother was the composer and the older wrote the excellent lyrics. First and foremost, told in a series of songs, it is a gripping life story about a woman and a man who seem to be unable to find each other in the jungle of a big city. The compositions come from various musicals and the opera work “Porgy and Bess” and are the material of the dynamic story, which, just as any relationship between a man and a woman, goes through mutual fascination and euphoria to heated arguments, break-ups, escapes and comebacks. The story takes place in the 1920s and 1930s in New York, during the time of swing, the prime time of the infamous gangster, Al Capone, featured in the background of the illuminated Brooklyn Bridge at night. The characters’ incandescent senses are presented in works like “It Ain't Necessarily So,” “Just Another Rumba” or “But Not For Me.” There will improvisations, there will be blues and gentle jazz with a pinch of cabaret and pure entertainment. Finally, there will be the dreamed muse of George Gerschwin, once as a flibbertigibbet who dreams of fame, other time as an aspiring chanteuse or a melancholic lady and a temptress who inflames the senses. The script was based on the new translations of the lyrics done by Andrzej Ozga. The songs written and composed by brothers Gerswhin, whose roots trace back to the family of Gershowitz, will be performed in modern arrangements of Marcin Partyka. Seats are not numbered. The show is presented on the small stage at 35 Senatorska St.
Late audience will not be let in with no ticket reimbursement available.